IOCL Recruitment 2018 Job alert both Fresher and Experienced can get IOCL Recruitment 2018 updated on February 21, 2018, notification on recent IOCL recruitment 2018 openings across India. 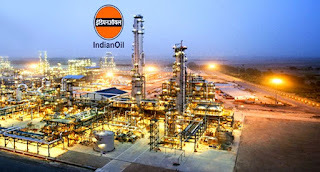 This is an exclusive page updated on 21.02.2018 for the latest recruitment notification iocl.com from Indian Oil Corporation IOCL 2018 it contains both active and recently expired Job openings and recruitment notification from IOCL 2018. For Junior Engineering Assistant & Junior Materials Assistant : 3 years Diploma in relevant Discipline from recognized Institute/ University. For Junior Quality Control Analyst: B.Sc. with Physics, Chemistry/ Industrial Chemistry & Mathematics. IOCL Selection Process: Selections will be based on Written Test and a Skill/Proficiency/Physical Test (SPPT).